When Microsoft added Cortana to Windows 10 it was something of a novelty. Despite Cortana's usefulness for checking the news and weather, opening apps, or sending text messages many people balked (and still do) at the idea of talking to their PC. It may seem weird, but people have actually been talking to their PCs for years. Buried inside Windows is a longtime speech recognition program designed to help people interact with their PC using only—or at least primarily—their voice. There are many reasons someone may not be able to use their hands to navigate a PC such as a disability or an injury. That's why speech recognition was built into Windows: To help those who have to overcome a physical problem. Even so, Speech Recognition is also a great tool for anyone who wants to experiment with voice interaction or would just rather not use their hands to control their PC all the time. Getting started with Windows speech recognition is simple and Microsoft provides a few tools to help you learn how to use it. The instructions on how to activate Speech Recognition are fairly similar across all active versions of the operating system from Windows 7 through Windows 10. Below are instructions for using Speech Recognition on a PC running Windows 10. There may be some slight differences in how the set-up process goes if you are using an older version of Windows. Nevertheless, the process is generally the same. Before we do anything, we have to open the Control Panel. In Windows 7, click the Start button and from the menu select Control Panel in the right-hand margin. In Windows 8 and Windows 10, the easiest thing to do is hit the Windows keyboard shortcut and select Control Panel (Looks like a little cog). If your device doesn't have a keyboard check, how to open the Control Panel in various versions of Windows. Once the Control Panel is open use the search feature to find Speech Recognition. On the next Control Panel screen select Start Speech Recognition, which should be right at the top. A new window will appear briefly explaining what Speech Recognition is, and that you'll need to go through a brief set-up process to activate the feature. Click Next at the bottom of the window. The next screen asks what kind of microphone you're using for speech recognition such as a built-in microphone, a headset, or a desktop device. Windows is fairly good at identifying the correct type of microphone you have, but you should still make sure the selection is correct. Once that's done click Next. Now we get to a screen teaching us the proper placement of the microphone to best take advantage of Speech Recognition. When you're done reading the quick tips click Next, yet again. Now you'll be asked to read a few lines of text to make sure your microphone is working properly and that the volume level is right. While you speak you should see the volume indicator remain in the green zone. If it gets higher than that you'll need to adjust your microphone volume in the Control Panel. Once you're done speaking, click Next and if all goes well the following screen will say you're microphone trial was a success. Click Next again. Next, you have to decide whether or not to enable document review so that your PC can look at the documents and email caches on your PC. This can help the operating system understand the common words and phrases you typically use. You'll want to read over Microsoft's privacy statements before deciding whether or not you want to do this. Once you've chosen whether or not to enable document review hit Next. Wow, Microsoft loves its set-up screens. Here comes another one. Now you have to choose between manual and voice activation mode. Manual mode means you have to allow your PC to start listening for voice commands by hitting the keyboard shortcut Win+Ctrl. Voice activation mode, on ​the other hand, is activated by just saying Start Listening." Both methods use the command "Stop Listening" to turn off Speech Recognition. Can you guess what happens now? That's right. Click Next. Speech Recognition is almost ready to go. At this point, you can view and print off Windows' speech recognition reference card. The reference card (it's actually more of a reference booklet these days) is online so you'll need to be connected to the Internet to see it. One more time let's click Next. Finally, we've arrived at the end. Simply decide whether Speech Recognition should run when your computer starts up. By default, this feature is set to turn on at startup and I'd recommend keeping it that way. Click Next one last time. If you'd like to practice, Windows can now run through a tutorial to see how to use Speech Recognition. To see the tutorial click Start Tutorial otherwise go with Skip Tutorial. If you decide to skip the tutorial you can always go back to it at Control Panel > Speech Recognition > Take Speech Tutorial. Once Speech Tutorial is running you'll see a small mini-player window at the top of your display. Just hit the minimize button (the dash) to get rid of it. Now it's time for some fun. There are so many commands that we can't possibly run through them all here--that's what the reference card is for. Nevertheless, let's look at some basic stuff that is just plain cool and futuristic to try out. "Open Word 2016." "Blank Document." "Hello comma welcome to voice dictation period." In Speech Recognition, you have to specify punctuation with words. Thus the last command you see here would look like, "Hello, welcome to voice dictation." If you ever ask for something that Speech Recognition can't carry out, you'll hear a special error sound--you'll know it when you hear it. One issue to note for Windows 10 users is that you'll run into frustration if you try to use the "Hey Cortana" voice command while Speech Recognition is active. 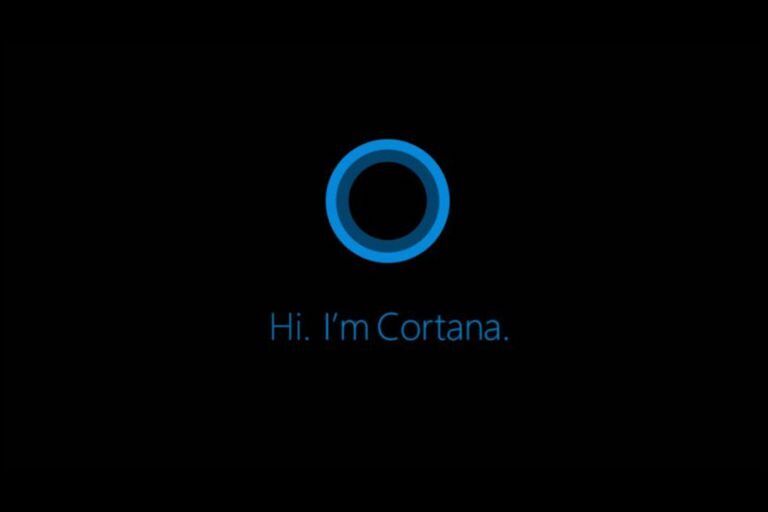 To get around this you can turn off Speech Recognition with the "Stop Listening" command before using Cortana. Alternatively, say "Open Cortana" and then use Speech Recognition's "typing" functionality to input your request into the Cortana search box. Speech Recognition doesn't work perfectly with all third-party programs. Your favorite text editor may not accept dictation, for example, but opening and closing programs, as well as navigating menus, works well enough. Those are the basics of Speech Recognition in Windows. Despite the numerous set-up windows it's actually quite simple and quick to get going. Plus, it provides a great way to interact with your PC, as long as you keep that reference card handy for the first few days.